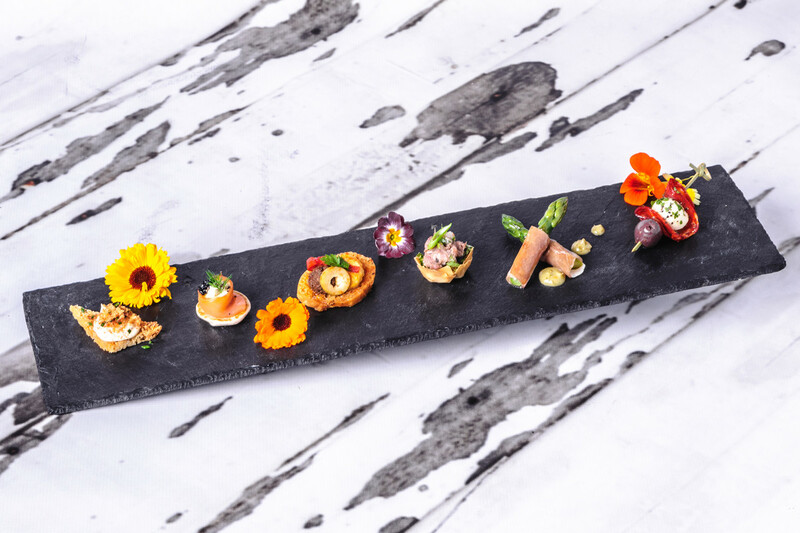 Perfect for evening entertaining, we have a delicious range of hot and cold canapes and we are happy to make a range of champagne cocktails or long cocktails for your guests to enjoy. Canapés can be a a prelude to dinner or the main source of food for the evening. We can advise on quantities of food and drinks and talk about timings and how best to make the event work for you. Our team will serve your canapes and drinks allowing you to enjoy time with your guests. We are pleased to offer private dining in the comfort of your own home, we do have minimum numbers at certain times of the year and also for travelling but please do contact us to discuss your requirements. 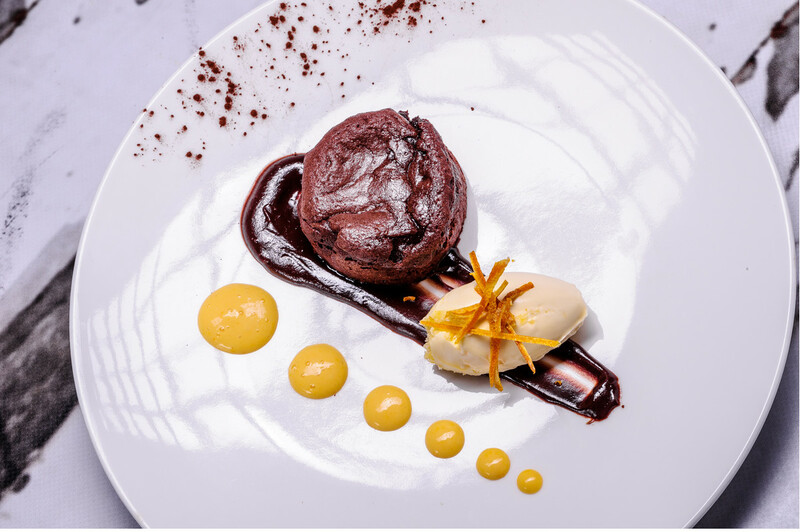 We have a lovely range of seasonal dishes and can build three, four, five, six and seven course menus to suit your requirements. Our chefs are happy to design bespoke menus for your event and we can incorporate your favourite dishes or ingredients. We can hire all crockery, cutlery, glassware and table linen if required, and we are happy to source any drinks you may require.